For all the sports fanatics out there, we understand that safety and care of equipment is absolutely necessary. We know how important expensive sports equipment can be for individuals, which is why we have a storage solution for when you don’t have space for it at home, or for when you are not using it – perhaps due to injury, or change in weather. Sports equipment can take up a lot of space, so storage units are the perfect go to when you want to get rid of clutter. You can store skis, snowboards, golf clubs, bikes, surfboards and anything else that is not in use for the season or needs to be stored safely for a while. Sport equipment storage units are damp proofed and secure, this means no-one but you will have access to the equipment and it will be kept in the condition it came in, perfect and ready for using when you need it. Sporting equipment also includes, jet skis and boats. But, when you are storing watercraft, you need to do so correctly so ensure it stays in great shape and ready for cruising the waters again. You need to keep a few things in mind when storing a boat, for example – you need to flush the boat’s cooling system so it gets rid of salt, dirt, grime and minimizes chances of corrosion over winter. Make sure you change the oil and filters and have the boat cleaned so that it doesn’t attract insects and rodents in the long run. Boats are an expensive investment, and as well as running a boat – it is also expensive to maintain it. Self-storage provides the perfect space to provide a safe harbor for the boat during the off-season, or if you don’t have anywhere else to store it. 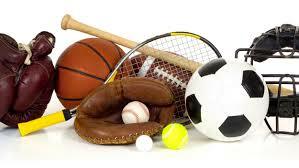 Other sporting equipment you may want to store includes, kayaks and canoes. Extreme temperatures can take its toll on such equipment so it is best to store them in indoor self-storage units to keep them dry and safe.